10.8 x 6.1 x 6.2 cm. Complex striated chalcopyrite clusters set in a matrix of euhedral, sharp sphalerite make up this wonderful three-dimensional Alimon piece. 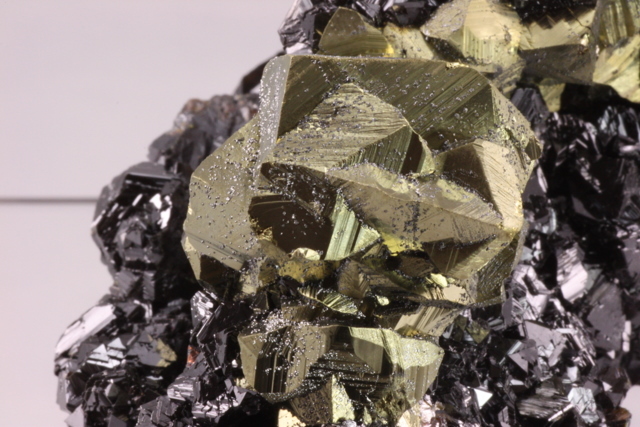 The color and the luster on the chalcopyrite is superb - a bright brassy yellow. The major clusters on each end are superb, with radiating and freestanding crystals to 2 cm.